India has awarded an additional USD 777 million deal to a leading Israel defence firm for supplying Barak 8 LR-SAM Air and Missile Defence Systems to seven ships of the Indian Navy, the company announced on 24 October. The Long-Range Surface-to-Air Missile (LR-SAM) system is an operational Air and Missile Defence (AMD) system used by Israel’s navy as well as by India’s navy, air and land forces. With the latest deal, the Israel Aerospace Industries (IAI) said that the sale of Barak 8 system — jointly developed by India and Israel — a sign of strong bilateral partnership in defence, has crossed USD 6 billion over the past few years. The system provides broad aerial and point defence against a wide range of threats to the marine arena from the air, sea or land. The system integrates several advanced systems as digital radar, command and control, launchers, interceptors with modern radio frequency seekers, data link and system-wide connectivity. The new contract announced by IAI was entered with Indian state-owned company Bharat Electronics Limited (BEL), which serves as the main contractor in the project. “Congratulations to Israel Aerospace Industries (IAI) and the defence establishment on the huge transaction involving the sale of Barak 8 to India,” Israel’s Defence Minister Avigdor Liberman said on twitter. The deal is “proof that security is an investment, and not expenditure”, he said adding that the IAI is a national asset, which must be maintained and strengthened. Nimrod Sheffer, IAI’s CEO and President, said: “IAI’s partnership with India dates many years back and has culminated in joint system development and production. India is a major market for IAI and we plan to protect and reinforce our positioning in India, also in view of increasing competition”. 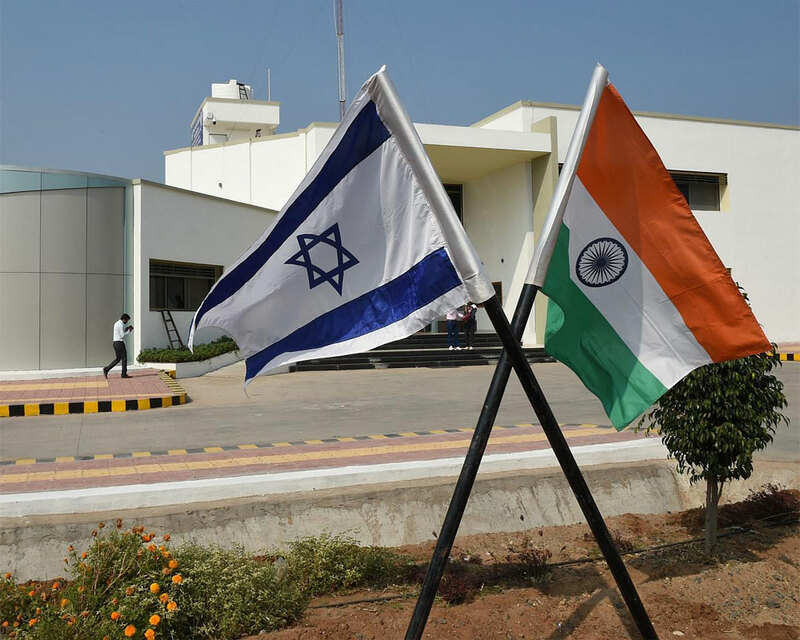 “We thank our partners in India and BEL for their choice of IAI in a project that best reflects the close technological cooperation between Israel and India. “With this deal, the sales of the Barak 8 over the past few years total over USD 6 billion. This is another evidence of the capabilities of this advanced weapon system, which serves as a central growth engine for IAI,” Boaz Levi, Executive Vice President and General Manager of Systems, Missiles and Space Group, said. Barak 8 is an operational system that provides a full response to a range of threats, built to cooperate with other systems, it provides customers with operational flexibility for maximum effectiveness on the battlefield, Levi said. Earlier in August, Israel Navy’s Sa’ar-6 corvettes had announced that it will be using Barak 8 system to protect Israel’s exclusive economic zone and strategic facilities which are faced with diversified threats in the marine arena. Israel won the largest defence contract in its history from India last year to supply Indian Army and Navy with missile defence systems, a deal worth USD 2 billion. This was followed by another USD 630 million contract a few months later to supply Barak 8 surface to air missile system for four ships of the Indian Navy in collaboration with BEL.